It seems to me that there is something rather indulgent about going to a matinee performance. Perhaps that contributed to everyone's obvious enjoyment of Sharon Gless's performance in A Round Heeled Woman. She was absolutely fabulous playing a sixty six year old woman who places an ad looking for, well, company let's say. Funny, poignant, clever, and truthful. What's more, we were lucky to participate after the performance in the Q&A session with both Sharon and Jane Juska, author of the book on which the play is based. Why did she wait 30 years before placing her ad? She was too busy of course. Thanks to Niki for organising our outing, and to the lovely women who came along. 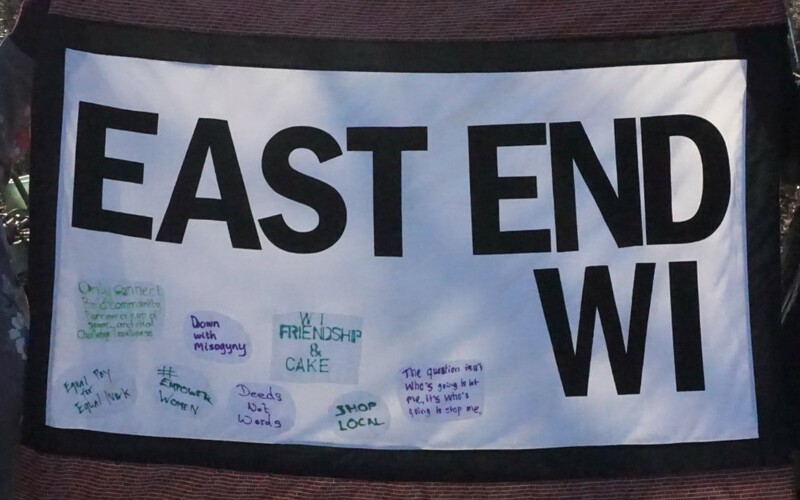 East End WI welcomes all women. You can read more about what we are up to on this blog. Click on the picture above to find out more about us and where we meet..
october meetings - bring a friend!